The archaeological site of Ita Letra in Paraguay is located at 26oS. Its geographic position encodes the important stories of the Egyptian discovery of America and the Comet Catastrophe, just after it. America was discovered from the west in the 4th Dynasty, and reached from the east in the 5th Dynasty. At the start of the 6th Dynasty the planet Earth passed through the Tail of a hugh Comet (or Comet Swarm). The two branches of the Parana River illustrate its shape. The whole rain-forest went up in flames. The local width of the continent of 2 Moiras encodes the duration of the event of 2 months, as well as the time period of 2 months after it. The meridian has a length of 4 Moiras in South America, confirming the 2+2= 4 months of the Catastrophe. This meridian hits Newfoundland at 48oN, corresponding to the initial world population of 4.8 million men. The latitude of Ita Letra encodes the number of casualties: 2.6 million men (54%). The precipitation during the Flood was nine meters of water. The Catastrophe ended all ancient civilizations on Earth. Ita Letra, in Paraguay, is one of the most important archaeological sites of South America 1-5. It is located 20km southeast of the town of Villarrica, at 26oS, in the southeastern part of the country. It is a nick-name meaning Letter Mountain, because of the many ancient letter carvings in its rocks 6-12. The official name is Cerro Polilla. It is a rocky hill located in the Ybytyruzu Mountain Range, having maximum heights of about 800 meters. Its geographic location appears to be related to the well-known stories of the discovery of America and the Biblical Flood. Both events happened at the end of the Old Kingdom of Egypt, about 2500 BC. Ita Letra is situated at 25.8oS and 56.3oW4. In antiquity only latitudes were known. So, people knew its latitude of about 26oS, but one was also interested in the meridian, or NS line, through the site. This meridian runs from the north coast of Suriname (former Dutch Guyana), at 6oN, to the south coast of Uruguay (at the present capital of Montevideo), at 35oS. It forms a total distance of 6+35= 41o across the continent of South America. Rounded off, it equals 4 Egyptian Moiras, or 40o, encoding the discovery of America in the 4th Dynasty of Egypt. Ita Letra is located in the center of the southern area between two branches of the Parana River, which are both flowing south. The shortest distance between both branches through the site equals 2.6 moiras, confirming the latitude of Ita Letra, at 26oS (1 Egyptian moira= 1o= 111km). This distance points 45oSE in the direction of the present town of Porto Alegre, at the northern shore of Patos Lagoon, at 30oS. This is the largest lake of Brazil, having brackish water. This shore, 30-26= 4o below Ita Letra, corresponds with the latitude of the Nile Delta, at 30oN, confirming the Egyptian discovery of America in the 4th Dynasty. The north shore of Patos Lagoon is located 5o above the south coast of Uruguay, at 30+5= 35oS, encoding the discovery of America by the 5th king Menkaure (Mycerinos) of the 4th Dynasty (c. 2570 BC). The direction from Ita Letra to Porto Alegre of 40+5= 45oSE confirms it. The south coast of the province of Buenos Aires, near Bahia Blanca, Argentina, is located 4o below Montevideo, at 35+4= 39oS. The discovery of America in the 4th Dynasty happened at the southern Aleutian Islands, near the Bering Sea, at the complementary latitude of 90-39= 51oN. The distance between the north coast of Suriname and the south coast of Buenes Aires equals 6+39= 45o, again confirming the discovery of America by the 5th king of the 4th Dynasty. The south shore of Patos Lagoon is located 2o below the northern shore. It corresponds with the mouth of the Tiete River (Sao Paulo), 2o above Ita Letra, at 26-2= 24oS. On the Return Route king Menkaure discovered the crossing of the Bering Strait, at the complementary latitude of 90-24= 66oN. This is 66-51= 15o above the southern Aleutian Islands 13-17. This distance corresponds with the southern Cape Verde Islands, West Africa, at 15oN. The north shore of Patos Lagoon, at 30oS, corresponds with the sailing direction from these islands across the Atlantic, with the wind and the current, 30oSSW. This shore is located 5o above Montevideo, encoding the place of arrival, Cape Sao Roque, Brazil, at 5oS, but also the 5th Dynasty. The south shore of the Lagoon, 2o lower, corresponds with the sailing distance of 2 Moiras, or 20o, but also with the 2nd king. The width of South America at the level of Ita Letra equals 2 Moiras, strongly confirming it. So, the 2nd king Sahura of the 5th Dynasty discovered the Southern Crossing (c.2505 BC) 18-26. The south coast of the province of Buenos Aires, near Bahia Blanca, Argentina, is located at 39oS. It corresponds with the West Azores, in the middle of the Ocean, at 39oN. The direction from Ita Letra to the north shore of Patos Lagoon, of 45oSE, corresponds with the latitude of Nova Scotia, at 45oN. The distance between Suriname and the province of Buenes Aires, of 6+39= 45o, confirms it. The south shore, 2o lower, encodes Cape Race, Newfoundland, at 45+2= 47oN. It is the East Cape of North America. It also corresponds with the initial sailing direction (ISD) from Cape Race, 20oESE, and with the sailing distance of 2 Moiras, or 20o, with the wind and the current, to the two islands of the West Azores. The width of South America at the level of Ita Letra equals 2 Moiras, confirming it. So, the 2nd king Sahura of the 5th Dynasty also discovered this important Return Route to the Old World. He discovered two important crossings of the Atlantic. The meridian of Ita Letra almost hits the Falkland Islands in the south, at 52oS, confirming it 27-33. The north shore of Patos Lagoon is located at 30oS, encoding the Northern Crossing, from the Shetland Islands, via the south point of Greenland, to Cape Chidley, Canada, at the complementary latitude of the Nile Delta, at 90-30= 60oN. The crossing via these three landpoints was discovered by the 3rd king Nefererkare (c.2490 BC). 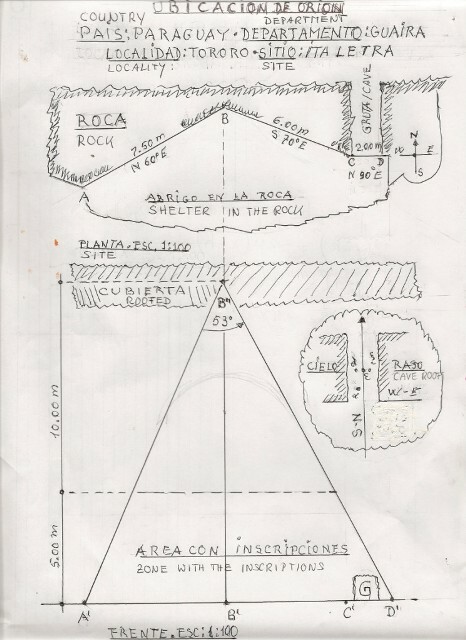 The south shore of Patos Lagoon is located 35-32= 3o above Montevideo, confirming it. It was the third Crossing of the Atlantic 13-17. The meridian of Ita Letra runs at 56.3oW. This NS line hits the east coast of the northern peninsula of Newfoundland, at 51oN. It corresponds with the discovery of America via the southern Aleutian Islands, at this latitude. It also runs through the shortest crossing of Davis Strait, from West Greenland to Cape Walsingham, Baffin Island, at 66oN. It corresponds with the crossing of the Bering Strait, at this latitude. It leaves the north coast of Newfoundland near White Bay, at 50oN, encoding the 5th king Menkaure, who is credited for these discoveries. The complementary latitude of 90-50= 40oN confirms the 4th Dynasty. However, it also corresponds with the 5th Dynasty, when all Crossings of the Atlantic were discovered. It hits the northern shore of Belle Isle Strait at 52oN. It confirms the 2nd king Sahura of the 5th Dynasty, who discovered the two southern Crossings of the Atlantic. It leaves the east coast of Labrador, between 53oN and 54oN. The lower latitude of 53oN encodes the 3rd king Nefererkare of the 5th Dynasty, who discovered the third, Northern Crossing of the Atlantic. Ita Letra, at 26oS, corresponds with the island of Bimini, offshore Florida, at 26oN. It is a well-known archaeological site. The present town of Corrientes, at the confluence of the two branches of the Parana River, at 27oS, corresponds with Abaco Island, at 27oN. The south shore of Patos Lagoon, at 32oS, corresponds with the discovered island of Bermuda, at 32oN. The distance from Ita Letra to the north coast of Suriname equals 26+6= 32o, confirming its latitude. Corrientes is located 39-27= 12o above the south coast of the the province of Buenos Aires, corresponding with the sailing distance from Abaco Island to Bermuda, 12 moiras. The latitude of Ita Letra and the length of the Patos Lagoon form together 26+2= 28o, equal to the sailing distance from Bermuda to the West Azores. The distance from Montevideo to the north coast of Suriname is 4 Moiras, equal to the total sailing distance, with the wind and the current, from Abaco Island to the Azores. Ita Letra is located 35-26= 9o above Montevideo, encoding the discovery of the island of Bermuda, 9o above the Tropic of Cancer, at 23+9= 32oN. The Tropic of Cancer is the holy line of the Sun religion. The north shore of Patos Lagoon, at 30oS, is 5o above Montevideo. So, the 9th king Unas of the 5th Dynasty discovered the Return Route, with the wind and the current, from Bermuda to the 9 islands of the Azores (c.2385 BC). The distance from the North Pole to the equator equals 9 Moiras, confirming this 9th, and last, king Unas (c.2403- 2370 BC) 13-19. The distance from Corrientes to Suriname equals 27+6= 33o, confirming his 33 years of reign. The town of Treinta y Tres, in the Department of Treinta y Tres, in Uruguay, at 33oS, still remembers it. This reign was ended by the biggest Catastrophe on Earth ever: the Biblical Flood. Ita Letra is located in the center of the southern area between two important river branches, which are both flowing south. The Parana River is the eastern branch, which starts in the southern part of Brazil, at about 16oS. The Paraguay River is the western branch, which also starts in Brazil, at about 14oS. The present town of Corrientes is located at the confluence of the Parana and Paraguay Rivers, at about 27oS. The whole area between both river branches strongly resembles a hugh Comet. The southern part, with Ita Letra in the center, symbolizes the Head of the Comet, and the northern part represents the Tail of the Comet. The length of the whole Comet equals about 27-15= 12o. The Head has a length of about 2o, and the Tail has a length of about 10o. The Catastrophe happened because of a cosmic collision of the planet Earth with the Tail of a Comet (or Comet Swarm) 34-42. The length of the Comet equals 12 moiras, corresponding with the 12 months of the year. The town of Corrientes is located 39-27= 12o above the south coast of the province of Buenes Aires, confirming it. So, the duration of the Catastrophe should be expressed in months. The width of South America at the level of Ita Letra equals 2 Moiras, encoding a duration of 2 months, when the planet Earth was inside the Tail of the Comet. The falling rocks caused hugh forest fires, and the melting ice of the Comet caused torential rains. There were hugh floodings everywhere. It was completely dark on Earth. This period was probably the worst. After these two months the planet Earth left the Tail of the Comet. However, the Head of the Comet has a diameter of 2 moiras. It shows, there was a second period of 2 months after it, again shown by the width of the continent of 2 Moiras. The whole climate on Earth was completely disrupted. The torrential rains continued, but it also became bitterly cold. So, these rains were changing in ferocious snow and hail storms. The hugh floodings continued, and many people now died from starvation. The distance along the meridian of Ita Letra from the north coast of Suriname to the south coast of Uruguay equals 4 Moiras, encoding the total duration of the Comet Catastrophe of 2+2= 4 months. The length of the Comet equals 12 moiras, also corresponding to 4x30= 120 days43-45. The meridian of Ita Letra hits the south coast of Newfoundland, at 48oN. The distance from Ita Letra to the East Coast of South America equals 7 moiras. It encodes the world population before the Flood of 4.8 million men (a number of 7 figures). Ita Letra is located at 26oS, encoding 2.6 million casualties (54%). The shortest distance between the river branches through the site (which points 45oSE) equals 2.6 moiras, confirming it. Ita Letra is located in the Ybytyruzu Mountain Range. The hills have maximum heights of about 7 millimoiras= c.777 meters. These heights confirm the number of casualties of 2.6 million men (a number of 7 figures). The relative latitude of the south coast of Newfoundland confirms it, too: (48/90)x4.8= 2.6 million casualties. The meridian of Ita Letra leaves to east coast of Labrador at 54oN, confirming the percentage of victims, 54%. The complementary latitude of 90-54= 36oN, corresponds with the circumference of the planet Earth, 360o, or 36 Moiras, which indicates that it was a worldwide Catastrophe. Cape Catoche, the NE Cape of Yucatan, Mexico, at 22oN, confirms the number of survivors, 4.8-2.6= 2.2 million men. Most of them were seriously injured.- The civilization around the south point of the Gulf of Campeche was the holy Land of Punt, the Realm of the Dead. Note, that it is located just below this latitude 44,45. The shortest distance between the river branches through Ita Letra points 45oSE to the north shore of Patos Lagoon, at 30oS. This shore is 5o above the south coast of Uruguay, corresponding to the 5th Dynasty, which was ended because of the Flood. The distance from Ita Letra to this shore equals 6 moiras, encoding the 6th Dynasty, when the Flood happened. The middle of Patos Lagoon is 1o lower, encoding the 1st king Teti (c.2370-2338 BC). Tree-ring dating appears to indicate, that it happened c.2344 BC, which was during his reign35. The meridian through Ita Letra leaves the north coast of Newfoundland, at 50oN. It corresponds to the 5th Dynasty, which was ended because of the Flood. Cape Farvel, the south cape of Greenland, is located at 60oN, encoding the 6th Dynasty when the Flood happened. The north coast of Newfoundland is at a distance of 1 Moira to the south, which encodes the 1st king Teti. It happened during his reign. The important SW Cape of Greenland is situated at 61oN, confirming the first king Teti of the 6th Dynasty. The north coast of Suriname is at 6oN, again confirming the 6th Dynasty, when the Flood happened. The north coast of Venezuela, at 11oN, is 39+11= 50o above the south coast of the province of Buenes Aires. It corresponds with the 5th Dynasty, which was ended because of the Flood. Cape Catoche, the NE Cape of Yucatan, is at 22oN, 39+22= 61o above the south coast of Buenes Aires. It encodes the 1st king Teti of the 6th Dynasty, when the Flood happened. It occurred during his reign 44,45. The distance from Ita Letra to the East Coast equals 7 moiras. Ita Letra is located 9o above the south coast of Uruguay. It shows, that the total precipitation during the Flood was about 80 micromoiras = 8.9 meters of water. The meridian of Ita Letra leaves the north coast of Newfoundland at 50oN. The shortest distance through the river branches and the site points to the north shore of Patos Lagoon, at 30oS. The 50+30= 80o between both places confirms the precipitation of 80 micromoiras of water. The meridian through Ita Letra leaves the east coast of Labrador at 54oN. The 54+26= 80o difference between both places confirms the precipitation, again 44,45. The normal precipitation in the area around Ita Letra is about 2 meters of water per year! The Egyptian discovery of America was the most important event in the prehistory of the New World. The continents of North and South America became colonies of Egypt, and their are many signs, that the peoples who lived there considered the Egyptian king as their own leader 17. The Comet Catastrophe of c.2344 BC was about the worst disaster in human history. For many centuries the climate on Earth became much colder. 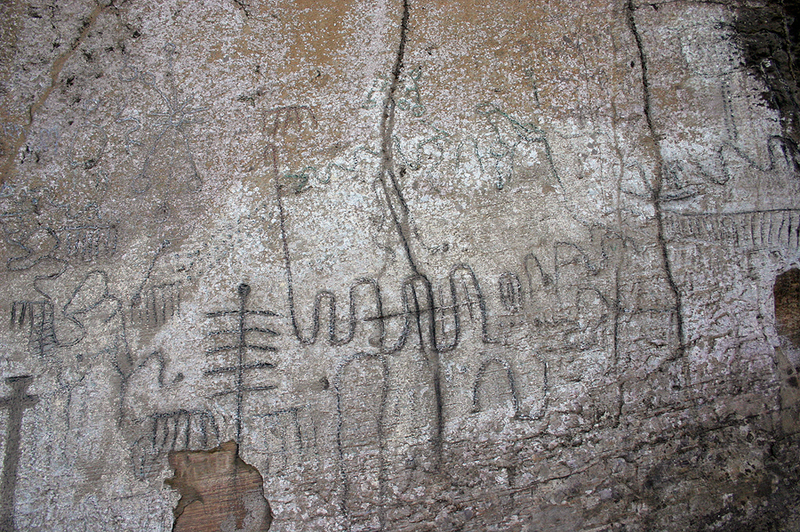 Both events are described in many monuments and petroglyphs around the World. Ita Letra in Paraguay is a typical example. For millennia after its foundation, c.2300 BC, Ita Letra was a holy place for people who lived in the surroundings, as well as for traders and visitors from abroad. Many people left messages in a variety of scripts and languages, which are all less important than the two stories mentioned above. These are told by the geographic position of the site, which is much more important than the carvings on its walls. Ita Letra, or the Letter Mountain, is one of the most important archaeological monuments of South America. We hope that Ita Letra will soon be included as an official World Heritage site. 1. De Mahieu, J., L'Agonie du Dieu Soleil, Ed. Robert Laffont, Paris, France (1974), also in German. 2. De Mahieu, J., Les Templiers en Amerique, Ed. J'ai Lu, France (1999) (ISBN 22772-213-76). 3. Pistilli, V., Vikingos en el Paraguay, University of Asuncion, Paraguay (1978). 15. De Jonge, R.M., The Discovery of Three Continents (Santo Stefano, North Sardinia, Italy, c. 2300 BC), Ancient American, Vol.12, No.76, pgs.28-29 (2007), Ref.14. 16. De Jonge, R.M., Houghtons Petroglyph (Copper Country, Michigan, 2500-1200 BC), Ref.14, to be published. 17. De Jonge, R.M., The Mystic Symbol, mark of the Michigan Mound Builders, Ref.14, to be published. 18. Casson, L., Ships and Seafaring in Ancient Times, British Museum Press, 1994 (ISBN 0-7141-1735-8). 19. Wachsmann, S., Seagoing Ships and Seamanship in the Bronze Age Levant, College Station, Texas, 1998. 20. De Jonge, R.M., and Wakefield, J.S., The Discovery of the Atlantic Islands, Ancient American, Vol.13, No.81, pgs.18-25 (2008). 21. De Jonge, R.M., and Wakefield, J.S., Greenland, Bridge between the Old and New World, c.2500 BC, Ancient American, Vol.11, No.67, pgs.12-20 (2006). 22. De Jonge, R.M., and Wakefield, J.S., A Nautical Center for Crossing the Ocean, Americas Stonehenge, New Hampshire, c.2200 BC, Migration & Diffusion, Vol.4, No.15, pgs.60-100 (2003). 23. 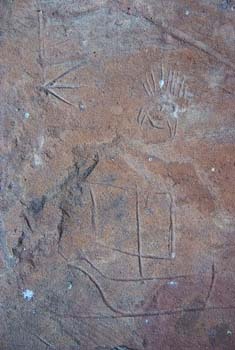 De Jonge, R.M., and Wakefield, J.S., The Three Rivers Petroglyph, A Guidepost for River Travel in America, c.1500 BC, Migration & Diffusion, Vol.3, No.12, pgs.74-100 (2002). 24. Fell, B., America BC, Pocket Books, Simon & Schuster, 1994 (ISBN 0-671-67974-0). 25. Bailey, J., Sailing to Paradise, Simon & Schuster, 1994 (ISBN 0-684-81297-5). 26. Thompson, G., American Discovery, Misty Isles Press, Seattle, 1994 (ISBN 0-9612990-4-4). 27. Drier, R.W., and Du Temple, O.J., Prehistoric Copper Mining in the Lake Superior Region, A Collection of Reference Articles, published privately, 1961, and reprinted in 2005. 29. Wakefield, J.S., and De Jonge, R.M., Rocks & Rows, Sailing Routes across the Atlantic and the Copper Trade, MCS Inc, 2010 (ISBN 0-917054-20-2). Available: MCS Inc, Box 3392, Kirkland, Wa USA 98033. 30. De Jonge, R.M., and Wakefield, J.S., The Embden Dragon Petroglyph, A Copper Trading Route of the Bronze Age (Kennebec River, Embden, Maine, c.1500 BC), Midwestern Epigraphic Journal, Vol.18/9, pgs. 56-82, 2004-5 (ISSN 1932-5703). 31. De Jonge, R.M., Petroglyph of a Sailing Boat (Copper Harbor, Upper Michigan, c.1640 BC), Ref.14, to be published. 32. De Jonge, R.M., Copper Trade with the Old World (Poverty Point, NE Louisiana), Ref.14, to be published. 33. De Jonge, R.M., The Battersea Shield (River Thames, London, c.190 BC), Ref.14, to be published. 34. Peiser, B.J., Palmer, T., Bailey, M.E., Natural Catastrophes during Bronze Age Civilizations, BAR International Series 728, Oxford, 1998 (ISBN 0-86054-916-X). 35. Baillie, M.G.L., Hints that Cometary Debris played some Role in several Tree-Ring Dated Environmental Downturns in the Bronze Age, Ref.34, pgs. 109-117. 36. Peiser, B.J., Evidence for a Global Disaster in the Late 3rd Millennium BC, Ref.34, pgs. 117-140. 37.Courty, M.-A., The Soil Record of an Exceptional Event at 4000 BP in the Middle East, Ref.34, pgs. 93-109. 38. Clube, S.V.M., and Napier, W.M., The Cosmic Serpent, Faber and Faber, London, 1982. 39. Clube, S.V.M., and Napier, W.M., The Cosmic Winter, Blackwell, Oxford, 1990. 40. Joseph, F., Survivors of Atlantis, Their Impact on World Culture, Bear & Co., Vermont 2004 (ISBN 1-59143-0-040-2). 41. Baillie, M., Exodus to Arthur, Catastrophic Encounters with Comets, BT Batsford Ltd., London, 1999 (ISBN 0-7134-8681-3). 42. Grondine, E.P., Man and Impact in the Americas, Kempton, Illinois (2005) (ISBN 0-9776-152-0-0). 45. De Jonge, R.M., The Phaistos Disc Decoded, New Testimony of a Lost Civilization, Mid- western Epigraphic Journal, Vol.20, 111-115 (2006), and Vol.21, 74-80 (2007), to be published. 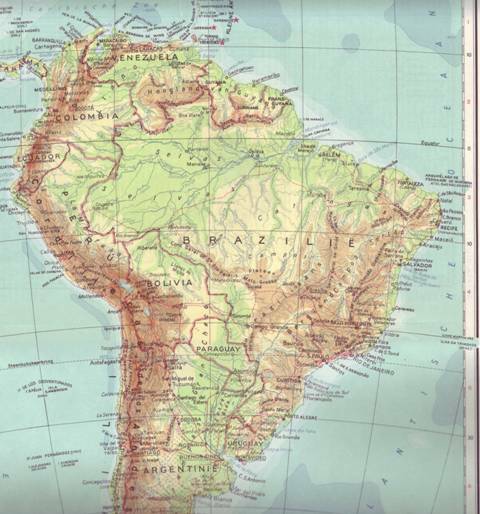 Fig.4 Map of part of South America (Ref.46).